"The Czeers MK1 is a 10-meter vessel covered in photovoltaic cells that is capable of hitting speeds of up to 30 knots (55.5 km/ph to you non-nautical folks out there)." Milk comes in all varieties: Whole, 2%, skim, chocolate, strawberry. There's soy milk, rice milk, and even goat milk – but there's a new drink making the rounds in Russia that we bet you've never tasted before: Moose milk. Aerodynamic Planes, Trains and Automobiles all from a never-never land of the most far-reaching imagination of the modern designers. To describe these concepts simply as streamlined is a huge understatement. They are wild, exciting, totally unexpected forms - a tribute to a Golden Age of futurism. 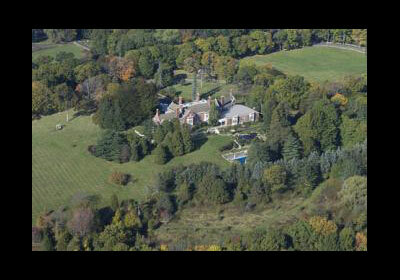 Hillandale, Stamford, Conn. The 20,000-square-foot residence has eight bedrooms and 10 bathrooms. It's so big that the property straddles the New York-Connecticut border. The grounds also include four guest and staff residences and two barns, all connected by five miles of private roads.